"Just a short note to thank you for the excellent advice and service you provided today after I managed to lose my front door key. 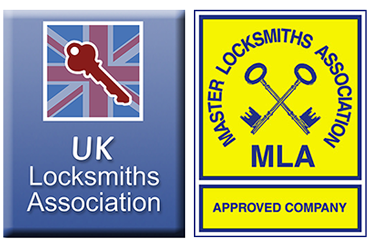 After looking around for a locksmith, you were the only ones who are recognised by so many different locksmith organisations that it gave me confidence to contact you. And I wasn't disappointed. There was a degree of urgency as I was due to go away the following day and wanted to ensure that my property was fully secure. I would have no hesitation in using your services again should the need arise and would definitely recommend you to anyone requiring a dependable, reliable and efficient locksmith. I am so grateful for the speed in which you responded to my request for assistance." I have had such outstanding service from your shop in Bury that I felt compelled to write. This “info” email address is the only one on your website, so please pass this to the company owner / manager. I found you via www.locksmiths.co.uk and from the very start have dealt with Dave (Bury shop) who has just been fantastic; nothing has been too much trouble and he really instills great confidence. He responds to calls and emails instantly. He explained everything and the whole process was so easy to me, which was great as before hand I had absolutely no knowledge of locks and was quite daunted - in the end I have been able to install all the locks myself and have subsequently ended up buying many more additional locks and handles with Dave’s guidance for all my other doors. I have been left very greatly impressed and will heartily recommend your company (and Dave especially) to all. Many thanks, and keep up the outstanding work! "We have used Authorized Access for over 10 years. Friendly and knowledgeable staff, nothing to much problem." "We have worked with Authorized Access for over 10 years now, a very knowledgeable team of people with a great “can do” attitude. We have always found that they are 100% reliable and they are competitive when it comes to price." "Our experience with Authorized Access has been exceptional – they are professional, friendly and helpful, we cannot recommend them highly enough, many thanks! "We have used Authorized access at our medical centre for a number of years. Their service has been excellent and turn out to our cries for help at very short notice. We have been delighted with the service given and hope to continue using them for a number of years to come." "Authorized Access always provide excellent customer service, professional, friendly and efficient. This ensures we can provide the best service for our tenants, thanks!! "I have been dealing with Dave from Authorized Access for many years and I have always found that he responds quickly in dealing with my new orders and is very knowledgeable and helpful when I need advice on new products' I would recommend Authorized Access to anyone who is looking for a specialised professional and personal service."